Now in Spanish: one of Mexico’s most celebrated new novelists, F. G. Haghenbeck offers a beautifully written reimagining of Frida Kahlo’s fascinating life and loves. Entre los objetos personales de Frida Kahlo había una pequeña libreta negra a la que llamaba “El Libro de Hierba Santa” con su colección de recetas de cocina dedicadas a la Santa Muerte. Esta se exhibiría por primera vez en el Palacio de Bellas Artes con motivo de la fecha de su natalicio. 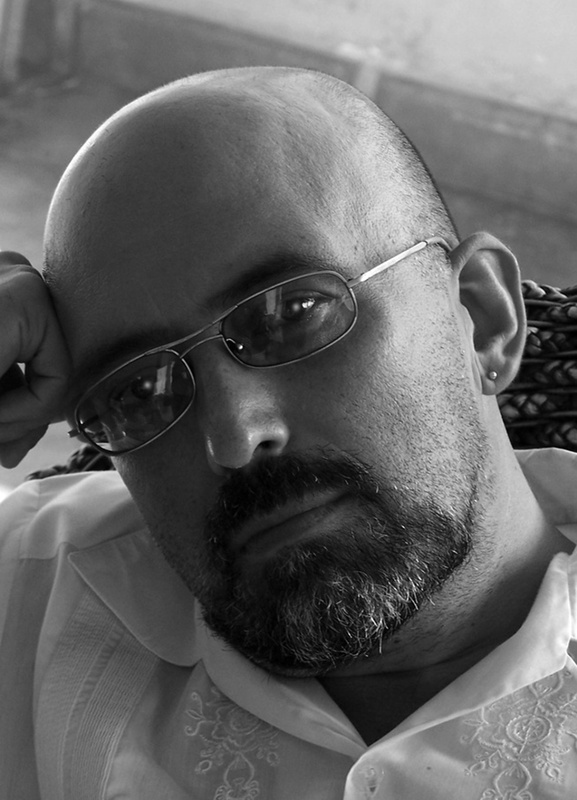 El día que se abrió la exhibición al público la libreta desapareció. F. G. Haghenbeck, uno de los escritores más aclamados en México, se inspiró en este hecho y escribió esta maravillosa novela, la cual trae una vez más a la vida a la famosa artista Frida Kahlo. Haghenbeck imagina que esta libreta fue un regalo de su amante Tina Modotti, después de que Frida sobrevivió al terrible accidente de tráfico que marcó su vida. Desde este punto, Haghenbeck intercala recetas con pasajes vividos por la artista y reconstruye de una forma magistral la tumultuosa pero fascinante vida de Frida Kahlo, desde su romance con el amor de su vida y afamado pintor Diego Rivera, hasta sus relaciones con personajes famosos como Georgia O’Keeffe, Ernest Hemingway y Salvador Dalí, entre otros. This reading group guide for The Secret Book of Frida Kahlo includes an introduction, discussion questions and ideas for enhancing your book club. The suggested questions are intended to help your reading group find new and interesting angles and topics for your discussion. We hope that these ideas will enrich your conversation and increase your enjoyment of the book. In The Secret Book of Frida Kahlo, F. G. Haghenbeck takes readers on a magical journey through Frida Kahlo’s life. 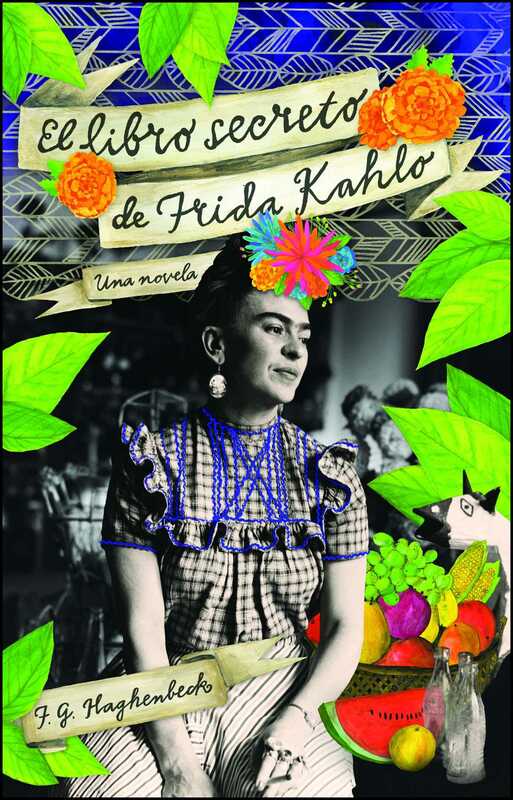 After nearly dying in a trolley accident at eighteen, Frida makes a deal with Death to live. Her injuries from the accident pain and haunt her for the rest of her life, and to keep up her end of the deal Frida must offer exquisite delicacies to the dead every year on the Mexican holiday the Day of the Dead. Her recipes are kept in a mysterious black notebook, El Libro de Hierba Santa—“The Hierba Santa Book.” Based on known events of her life, this fictional reimagining is an intriguing ride that delves into Frida’s mind and follows her from lover to lover while also exploring her painting, complex personality, lust for life, and existential feminism. 1. The novel begins when Frida is close to the end of her life. Why do you think Haghenbeck chose to order the narrative this way? How does beginning the story with death affect the rest of the novel? 2. Early in her life Frida suffered from polio and endured the consequences of the illness for years to come. Reread the story Guillermo tells Frida while she is ill. At the end Frida asks him, “Do you think Death wants to be my Godmother and save me from this illness?” (22) How would you respond to Frida? Does the story Guillermo tell Frida as a girl relate to Frida’s own story with Death? 3. Immediately before Frida dies “for the first time” in the bus accident, “the rebel from her childhood” appears on his horse and greets Frida “with a slight tip of his hat.” (47) Who is this “rebel,” or Messenger, and when else does he appear in the novel? What does he represent for Frida, and how do her feelings about him change or develop over time? 4. After the accident Frida must convince her Godmother to allow her to continue living. What is Frida’s deal with Death? What would you do if you were offered a similar deal? Discuss what you think about the warning Frida’s Godmother gives her before she wakes up: “You will always wish you’d died today. And I will remind you of this every day of your life.” (61) At the end of her life, does Frida regret living past this first death? 5. As her injuries from the accident heal, Frida begins a painting for her Godmother. This self-portrait is the first of many paintings in Frida’s artistic career. How do Frida’s spiritual turmoil and physical affliction affect her art and career? 6. While both Frida and Diego Rivera have fleeting affairs throughout their time together, they have a bond with each other that persists and reignites even after their divorce. How does their relationship survive? 7. Cooking plays an important role in the story and in Frida’s life. She learns to cook from both her mother and Diego’s ex-wife, Lupe, and she passes her skills on to others throughout her life. Discuss the significance of cooking and food in Mexican culture. Each chapter ends with a recipe or two that relates to the preceding chapter. What is the significance of the recipes for Frida? What do they add to the story and to your reading experience? 8. On a trip to Tepozteco, a guide tells Frida and Diego stories from his town. A story about the griefstricken maiden, La Llorona, has a profound effect on Frida. When else in the novel does La Llorona appear? How do you interpret the dream Frida has later that night about the woman in the veil? 9. Frida is in a constant struggle to continue living her painful life. Why does she choose this painful life over an easy death? Think about the words “Have the courage to live, because anyone can die.” (7, 95, 129) How do you interpret this maxim? 10. Throughout her life, Frida lives in many different cities, but she is always most at home in Coyoac.n, especially in the home where she grew up: “La Casa Azul was Frida herself.” (3) What do you think this line means? How does each city she visits (Mexico City, San Francisco, Detroit, New York City, and Paris) affect Frida? 11. Frida is a strong woman whom many people admire, but her physical ailments torment her constantly. Despite her struggles, eventually she understands “her true nature as a truly singular woman.” (212) Who is Frida Kahlo? How is she characterized and portrayed in the novel? How do other people in her life see her? Are their impressions of her different from how she sees herself? 12. As an advocate for the Mexican Communist Party, Frida becomes involved with politics and political people early in her life. How does growing up amidst a revolution affect Frida? How do politics continue to impact Frida throughout her life? Leon Trotsky tells her that he can think of only “two artistic phenomena: works that reflect the revolution and works that, while not thematically linked to the revolution, are imbued with a new consciousness derived from the revolution. That’s where your work falls.” (226) How does his view compare with Frida’s art? 13. Frida is a unique woman who meets many interesting and important people throughout her life. What does she learn or gain from her affairs and interactions with these larger-than-life characters? Consider Georgia O’Keeffe, Norman Rockefeller, Ernest Hemingway, Leon Trotsky, Ana.s Nin, Henry Miller, and Salvador Dali. 14. In Paris, Frida plays a game called Exquisite Corpse at a surrealist gathering. (265) When the figure is complete, everyone sees the image as ridiculous except for Frida. Think about Frida’s description of the image. Why does she feel it is a postcard from Death? 1. Look up one of your favorite Frida Kahlo paintings and find a passage in the novel that you feel relates to the painting. Discuss how the aesthetic of the painting aligns with Haghenbeck’s reimagining of Frida’s life. 2. Host a “Day of the Dead”celebration! Cook one of the recipes found at the back of the book, and recreate one of Frida’s delicious feasts. 3. F. G. Haghenbeck’s novel is fiction, but it tells the story of Frida Kahlo’s real life. To learn what is fact and what is imagination, compare nonfiction accounts, and share your findings with your book club members.